Seat deposits. Now is the time for making those final seat deposits to save your seat. While some people will submit multiple seat deposits, if you’ve done your research and completed your visits, you need to only place one seat deposit at your selected school. Remember that starting May 15, every law school can see each deposit that applicants have made–meaning that they will know if you’ve put down multiple deposits. Follow up on wait lists. It is very common to be on one (or more) wait lists. Revisit this blog post for tips on what to do. Update your resume. Keep it simple and classic–legal employers tend toward the traditional, so focus artistic creativity elsewhere and make this resume succinct and clear. Network. Ask lawyers you or your parents know if you can take them to coffee and learn about their practice area. You can use the Illinois Lawyer Finder here to locate lawyers near you (if you live in Illinois) by practice area. Use your networking skills and begin reaching out to any contacts in legal fields that interest you. Remember, everyone needs a lawyer eventually, and most people know or have hired a lawyer. Plus lawyers know lots of other lawyers and can introduce or recommend you. You can already start thinking about what kind of 1L summer job you’d like and start building your network for that. Buy some important items if you do not already own them. You will need a suit and dress shoes the very first week of class. To get the most bang for your buck, your suit should be classic business formal: gray, black, or navy blue in a conservative cut and year-round fabric. Our pre-law programming is complete for the semester. We will have appointments available until May 16, so feel free to make an appointment (by calling 333-9669) to discuss how to maximize your summer! THIS SATURDAY: Law School is for Diverse People Too: How To Prepare for the Law School Admissions Process–Sat, April 27 from 9:00 am to 2:00 pm at University of Chicago Law School (1111 E 60th St, Chicago IL). Writer’s Workshop is hosting these upcoming workshops. Visit their website here for more details. Developing Arguments and Revising for the Big Picture–Tues, 4/23, 1-2 pm, 1060 Lincoln Hall. This presentation will review the basic principles for creating effective thesis statements. It will also help students review common essay structures and strategies. You will have the opportunity to put these principles into practice, so bring a current assignment to work on. Avoiding Plagiarism: Using Sources Effectively–Wed, 4/24, 12-1 pm, 1057 Lincoln Hall. Worried about accidental plagiarism? This presentation reviews basic techniques for effectively incorporating sources through summarizing, paraphrasing, and quoting. The Final Check: Proofreading and Editing Strategies–Thur, 4/25, 4:30-5:30 pm, 1057 Lincoln Hall. Worried about your editing and proofreading skills? In this workshop, we will help writers develop and practice effective strategies for both. Bring a paper to practice with, or use the exercises provided at the workshop. Still looking for a summer job? 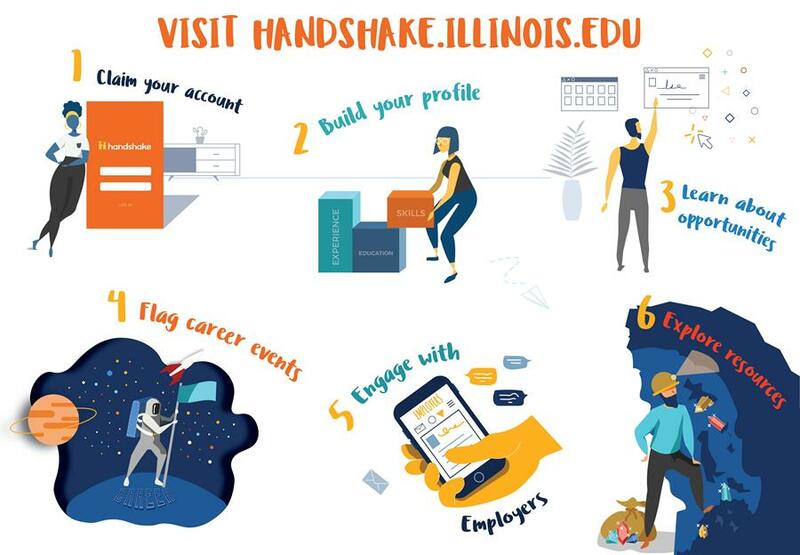 Check out the University of Illinois Virtual Job Board for paid summer positions right here on campus. International Student Career Meetup: Enhancing Networking and Communication Skills–April 26, 4-5:30 pm, Career Center Interview Suite Room 213. Work-It Wednesday: Connect with Representatives from The Children’s Home–April 24 (various times). Are you still looking for an internship or full-time opportunity? Are you interested in social services, counseling, or working with children? 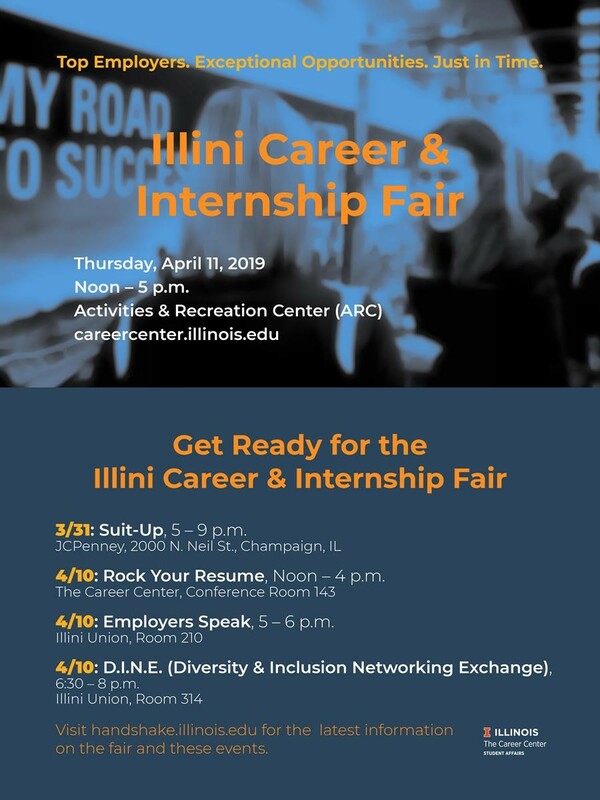 Join the Childrens Home Association of Illinois on Wednesday, April 24th at The Career Center for the last Work-It-Wednesday of the spring semester! The Childrens Home is committed to community-based, family focused programs that provide counseling, education and support to more than 1,700 children and families each month. They are currently hiring for numerous internships and full-time positionsmany which only require a bachelors degree. Check out the schedule below and attend when and where you can! 1:00 – 2:00 pm Informal Coffee and Cookies Chats with the Childrens Home. Stop in to learn more about the Childrens Home or ask any questions you might have about your internship/job search – how to stand out for social service jobs, application and resume tips, or anything that interests you! Located at The Career Center Resource Center (715 S. Wright Street). 2:00 pm – 3:30 pm Resume Reviews with the Childrens Home. Get your resume reviewed by a Childrens Home representative who specifically hires for social service-focused work. Located at The Career Center (715 S. Wright Street). 4:00 – 5:00 pm Childrens Home Information Session. Attend an informal information session to learn more about the numerous internship and full-time opportunities with the Childrens Home and how you can be a good fit for them! Located at The Career Center Interview Suite, 616 E. Green Street, Suite 213. For questions, please email Tori Spring at vspring@illinois.edu. Happy April! This week we have a lot to share: meet public interest lawyers, learn about international scholarships, apply for a paid summer internship, serve as a juror, and more! Public Interest Lawyer Panel-–April 3, 5:00 – 6:00 pm, 514 Illini Union Bookstore Building (807 S Wright St) Public interest lawyers serve in a variety of positions providing legal services to the community and serving in governmental roles. Interested in becoming a public interest lawyer? Join us for this panel to learn more about public interest legal careers from multiple public interest lawyers with a variety of backgrounds. From what they do to how they got their current positions and advice for pre-law students, we’ll learn about public interest lawyers and how to prepare for this fulfilling career path. Taking a Gap Year Before Law School–April 10, 6:00 – 7:00 pm, Gregory Hall Room 319 Nationwide, the average law student has taken one or more gap year(s) after undergrad before applying to law school. Whether you are planning to go straight through to law school after undergrad is over or looking at one or more years before law school, this workshop will help you prepare for that next step. Hear from our panel of current law students from the University of Illinois College of Law and learn more about the pros and cons of both choices. LAw SChool Events:Undergraduate Jurors Wanted! LegalTrek 2019–Applications due Friday, April 5. LegalTrek is a free summer program designed to provide a hands-on, comprehensive overview of the legal profession to diverse college students. LegalTrek meshes traditional legal learning with opportunities to build legal skills. They are seeking diverse applicants from racial/ethnic minority groups, as well as socioeconomically disadvantaged students, LGBT students, and students with disabilities. LegalTrek 2019 will take place on WEDNESDAY afternoons from 1:30 – 4:30 pm at DePaul University, College of Law’s Loop Campus beginning on Wednesday, June 12, and ending on Wednesday, August 7. For more information and application materials, please visit the LegalTrek website here. Information Sessions for juniors and seniors will be held the week of April 1st: For juniors and seniors, information sessions will focus on how to apply for June priority application deadlines, including many scholarships for study or research beginning in the fall of 2020. Finding an Internship workshop–Today, April 2, 4:30-5:30 in the Career Center Conference Room. International Student Job Search Workshop–April 5, 4-5:30 pm, Career Center Interview Suite Room 213. LSAT Test Prep Essay Scholarship Contest – Entries DUE TODAY, April 1, at NOON! Submit your resume and essay to Judy Argentieri via email only at jargenti@illinois.edu by TODAY, April 1, at NOON.